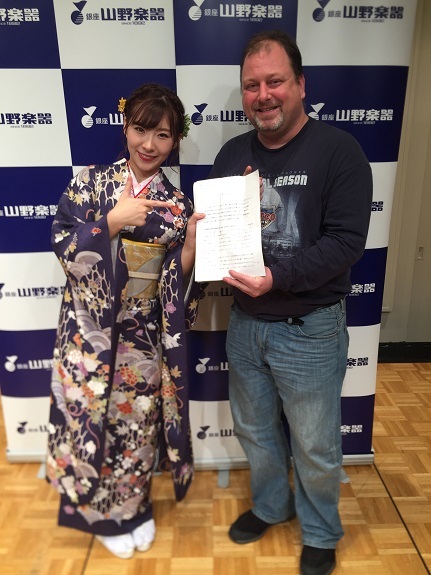 It seems Yamano Music holds these Enka Festivals at least 2-3 times per year, and Wasamin has been a regular participant for quite a while. This is an “invite only” event. The way it works; The shop announces who will be participating in the series, and in order to apply for the show you must purchase one of the target products from one of their stores. You receive a 5-pack of postcards which you can use to apply for any of the artists, who perform individually throughout the week. In this particular case I didn’t need to make a purchase since Kimura-san, one of my Wasafan buddies had a bunch of postcard packs and gave me one to use, and of course I sent all five in for Wasamin. Oh, and the win isn’t automatic, I have not won every time I have applied, for some reason the January festival is extremely hard to win. That said, I usually win the other events, and this one was no exception. I finished my Japanese class at 3:15, and had over three hours to kill before the show. I spent the first hour or so in the library studying for a Japanese “oral exam” I have tomorrow, then head over to Ginza to hang out at The Hub, and have a few cocktails before the show. 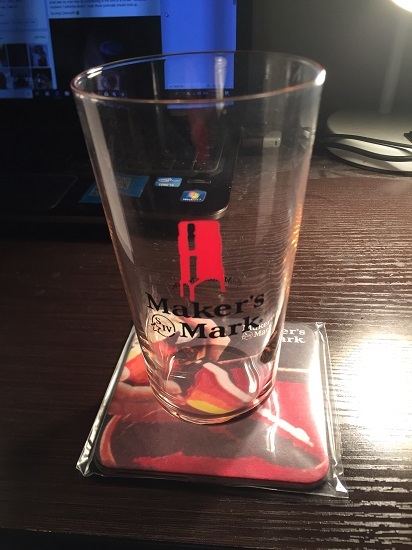 BTW, The Hub’s target drink this month is Maker’s Mark, and after having a couple Hi-balls I won the coasters, and a Hi-ball glass. But it was getting close to 6pm, so it was time to walk over to the store. I have been really bad about bringing lightsticks to Wasamin’s shows, and this would have been a good one to bring them to since she performed three of her singles, and the fans have a color code for each one. (Saba Kaido=yellow, Tomonoura Bojou=red, Sado no Ondeko=purple) Also, Wasamin had a quiz after the 6th song. She asked us what the theme of the setlist was. The first person got it wrong, but the 2nd person, who was seeing Wasamin for the first time, got it right. All the songs were about “places.” Well, I guess technically Saba Kaido does qualify as a place, but it was all in fun anyway. After promoting her January concert, as well as a couple of her other upcoming appearances, the show ended. But it was a nice 7-song setlist, so a bit more than a regular mini-live. So there was no surprise, I showed the paper I am holding to her assistant so she would know what it was. It is a Japanese essay I had to write. The topic was “What kind of robot would you want?” So I thought Wasamin would want to read about my “Misaki-chan Robotto,” LOL. She was like “Nani kore??? ?” So I told her about the assignment, and I also showed her the grade (5 out of 5) She asked if that meant it was a perfect paper. I was like “No, not perfect at all! Just good enough for an “A”.” I mentioned that my teacher suggested the Misaki-chan robot. She asked “Why does your teacher know about me?” All of my teachers know about you! In any case, my essay was a big hit. She read a tiny bit of it. And when I go on the train to head home, the entire car smelled of barbecue. WTF? Where was it coming from? All of a sudden a had a massive craving for ribs. But it was late. Perhaps this weekend I will tread myself. We’ll see. Ribs are somewhat rare in Tokyo, and quite expensive where they have them. 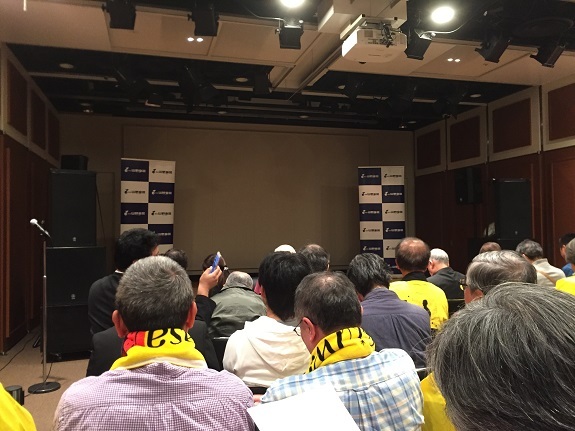 Wasamin will be in the Shikoku Region this weekend, which I will not be attending. The weekend after that is her cheki event, which I am hoping to attend. 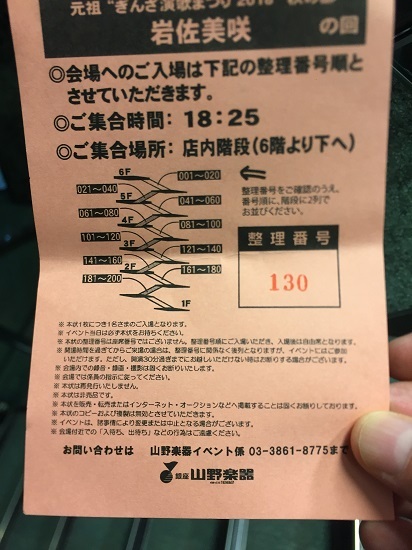 I forgot to ask Ichikawa-san if there will be “on the day” tickets, but there usually are, so no worries.